Kraan had released two albums for the German Spiegelei label prior to this, their first international release. The band was formed in 1970 in their native Ulm, but the quickly migrated to Berlin. The band eventually settled at an artist's commune in Wintrup, also the name of their second album. Kraan featured the superb instrumental talents of bassist Hellmut Hattler, saxophonist Johannes "Alto" Pappert and brothers Jan (Friede) on drums and Peter (Wolbrandt) on guitar and vocals. Their third record, Andy Nogger, was their first recorded with legendary producer Conny Plank. As the excellent "Stars" demonstrates, Kraan had a highly energetic and original sound, somewhere between rock and jazz, but nowhere around the then current fusion. "Son of the Sun" and "Yellow Bamboo" are typical of the Kraan formula. Melodic and subtly flavored by world-ethnic elements, Kraan never descended into pointless soloing or unnecessary complication or arrangements. Their songs evolved around the extremely tight interplay between each other. Both "Andy Nogger" (a mildly disturbing tale of a pervert) and "Home" have enough charm and conviction in delivery of their English lyrics to rate them as highly as the other instrumental numbers. But more than anything Kraan was a live band. Their next album was a double album, recorded live in Berlin's Latin Quarter, which unfortunately only saw release in German on the Spieglei label. 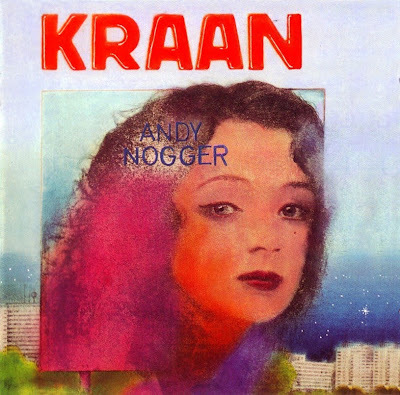 Both "Nam Nam" and "Holiday am Marterhorn" from Andy Nogger would receive expanded treatment on that album. 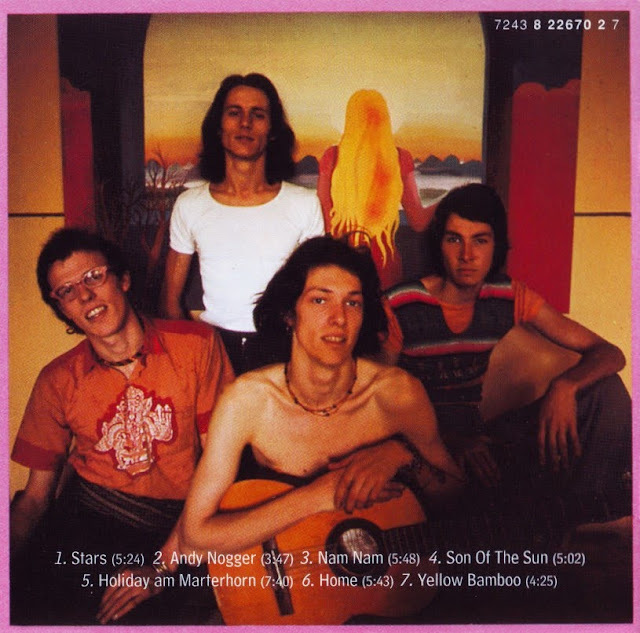 This album saw release in the US on the Passport label.